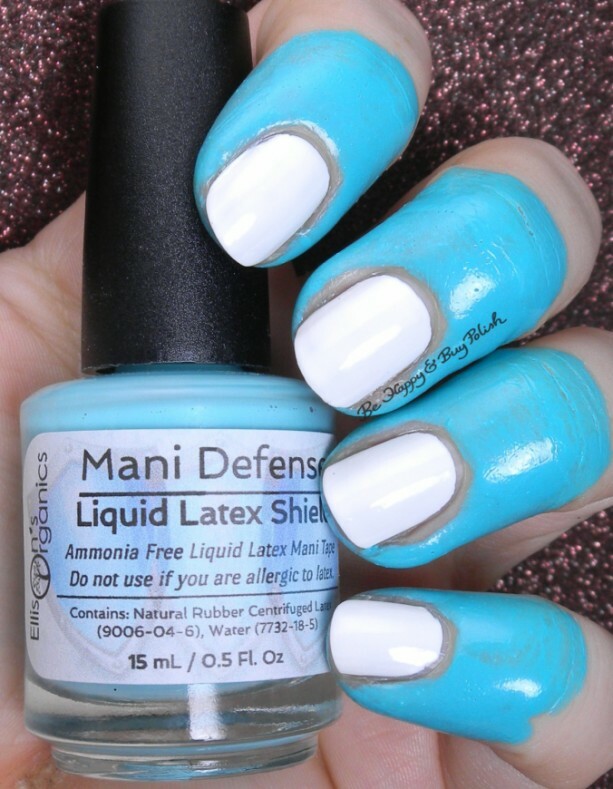 Save your time and your skin with Mani Defender liquid latex! Simply paint the liquid latex, also known as nail tape, around your nails as you see in the pictures above and let dry (it dries fast!). Then apply your stamping, gradient, or nail art. The excess polish will easily peel off with the liquid latex when you are finished! 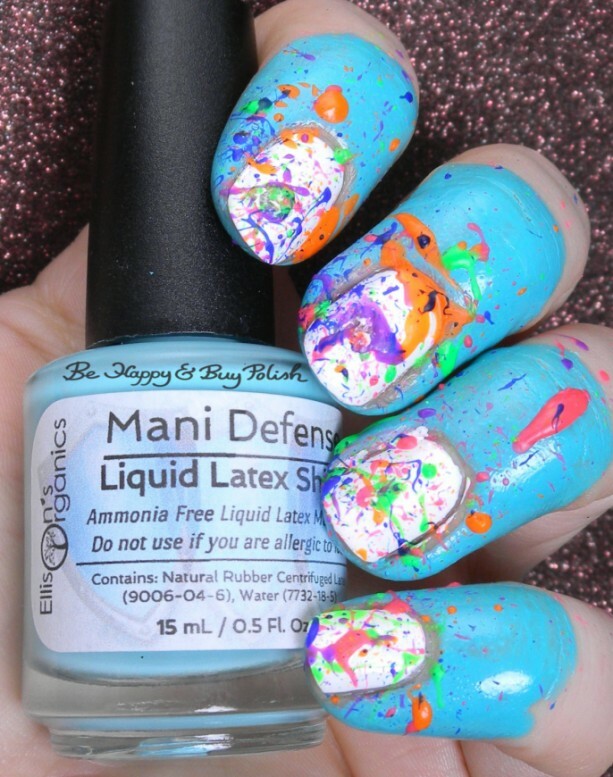 Try this before you watermarble and save TONS off of your cleanup time. Ammonia free. Just how easy is it to use? 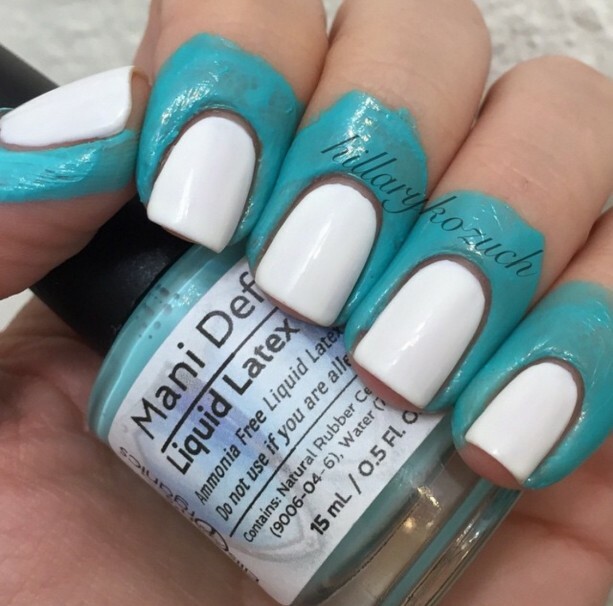 Check it out here: https://instagram.com/p/22QUgBGuCb/?taken-by=ellisonsorganics The reviews are coming in and Mani Defender is a hit! 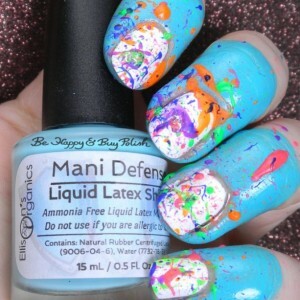 One happy nail artist says, "I found Mani Defender on Etsy when another latex clean I had purchased took too long to be delivered. I purchased that brand because I saw most of the nail accounts I follow use it. 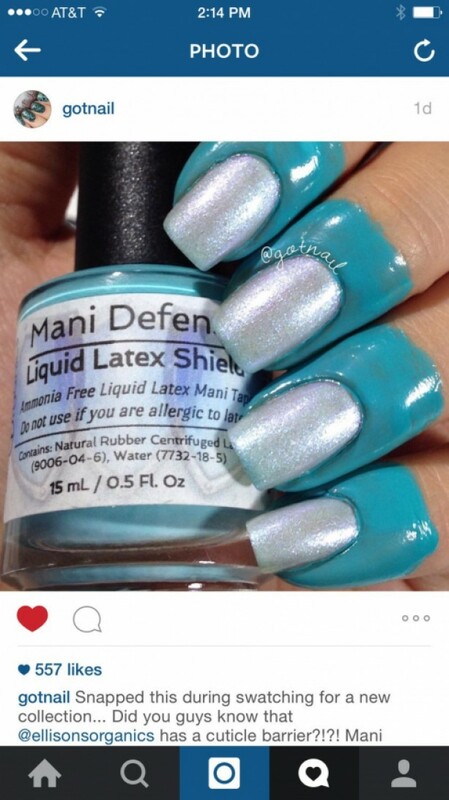 That other brand just doesn't apply as well as Mani Defender. So that other one just sits in a drawer." It is shipping worldwide and has been selling out quickly, so if you're on the fence, don't wait. Note: yes, this product CONTAINS LATEX because IT IS LATEX. Please DON'T USE if you are allergic to latex! Also do not eat rocks. 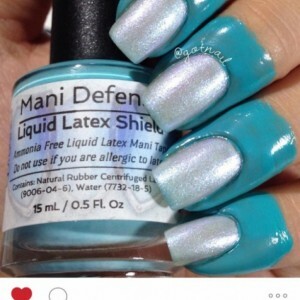 You will receive one full-size bottle of Mani Defender, 15 ml (0.5 oz) in size. It is shown above around Alwhite, Alwhite, Alwhite (sold separately). Thank you to @hillarykozuch, @gotnail and @behappyandbuypolish for the pictures! Find them on Instagram for more pictures and nail art.